Today, I have a simple recipe of a 'thoran' for you. As you can see I got a little excited about the photography even though this is a simple recipe, then again, isn't presentation vital in cooking? A good time to make recipes like this is when you don't have enough of one vegetable but have an assorted little of many. Really, thats what I did! Mixed up this and that to make a thoran and I really loved this combination. 1.Make all the veggies ready for thoran, by cutting them like I've mentioned above. 2.It's up to you whether to grate or cut the broccoli florets. 7.Add the Broccoli and beans along with, turmeric, salt and coconut mix from step 3 and add into the pan. 8.Mix everything together and cover the pan.Add a couple of spoon full of water. 10.Open the pan and cook till the thoran is free of any water by stirring in between. Cute broccoli tree :) Recipe sounds good! Broccoli tree with carrot flowers looks beautiful,thoran adipoli. Absolutely cute cute presentation, lovely dish. awesome pictures. mmm. looks so yummy..wonderful clicks too. that makes one healthy n colorful thoran..
yum yummmmmmmmmmy! delicious combo and mouth watering thoran. Lovely presentation and photography!! 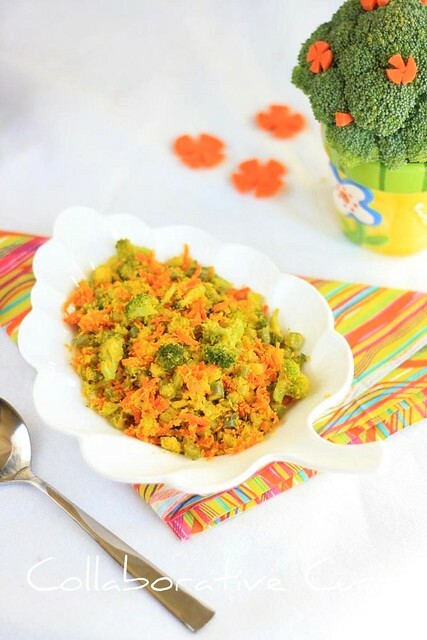 nice recipe:) the broccoli tree with carrot flowers is sooo cute!! The thoran looks very nice...broccoli is new to me in thoran..will try it. Healthy broccoli. Thoran look to be wonderfully prepared. A very healthy dish. Healthy n tasty thoran..Broccoli tree nalla rasamundu kannan :) Loved the presentation, Nami.. Colorful and yummy thoran.Beautifully presented. Wow that sounds really delicious..love the presentation! Recipe sounds good and clicks and the presentation are too good too! cute presentation! !surely kids will like it! !healthy one! Wonderful looking healthy and delicious thoran,cute broccoli tree.. Your broccoli tree looks very cute and the thoran is so yummy. Looking to that brocoli tree made me smile i love it. Love the thoran too. Broccoli tree looks cute dear, yummy thoran,healthy and colorful. 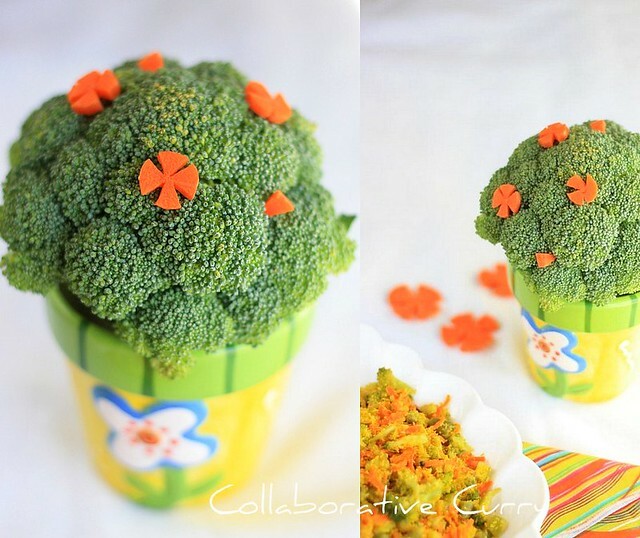 Love the broc and carrot tree...Nice clicks..
That would be a pretty bouquet :) Great creativity! Love the thoran ! Your photos are so cute! And this is so bright and delicious! 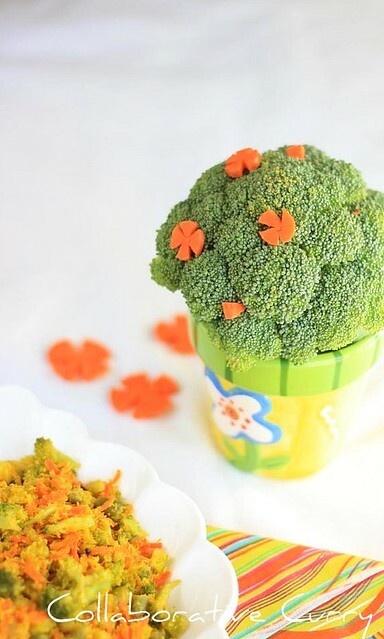 Cute broccoli decor, your kids are very creative! Mixed vegetable thoran is very delicious!